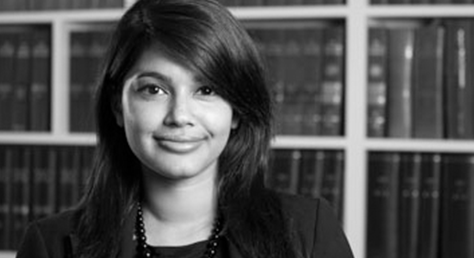 Congratulations to Nusrat Uddin of our Public Law department who has been awarded a Winston Churchill Fellowship research grant. Nusrat’s work at Wilsons with victims of trafficking has highlighted the need for more effective support for victims of trafficking. She has experienced the difficulties in victims obtaining adequate support and accommodation once they escape from their traffickers, with some clients ending up street homeless and subjected to further exploitation. Her work has inspired her to seek ways of improving the situation for victims who are unable to challenge the lack of support from the authorities. The Modern Slavery Act 2015 has increased awareness of trafficking issues but has done little to improve the support for victims. The UK government has announced increased funding for law enforcement agencies to aid them with trafficking prosecutions, however the number of successful prosecutions remain low. Most victims after escaping from their traffickers are dealing with the trauma of their experiences and still terrified of reprisals from the perpetrators. Without stable support and adequate services victims are often unable to engage effectively in the prosecution process. Nusrat will be researching the elements of support that assist a victim to engage with the prosecution process different jurisdictions. She hopes that her research will encourage the UK government to provide effective support for victims to enable them to participate as key witnesses in the criminal justice system. Best of luck to Nusrat who is heading off this week on a 5 week research trip, traveling to the United States, Belgium and the Netherlands. We wish her success with her innovative approach to tackling a complex issue concerning many of our clients at Wilsons. Wilsons has been awarded a contract with the legal aid agency to bring compensation claims for victims of trafficking and modern slavery. If you are require legal advice in connection with any issues covered by the Modern Slavery Act and wish to speak to a lawyer in our Public Law Department please contact Penny on 0208 885 7924.